Al is ready for the weekend. Al works Monday to Friday as a professional mattress tester. On weekends he takes a well-deserved break from his rigorous job. You'll mostly find him napping on Saturday and snoozing on Sunday. Al resting on Saturday from his strenuous work week. 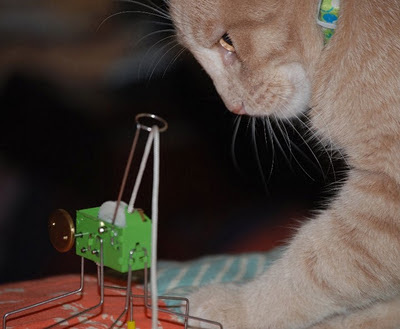 Al is also interested in string theory. Al acts out the "Bunny Hop." Al and Ringo are expert catnappers. Catching some Zs with his best bud and brother, Ringo. 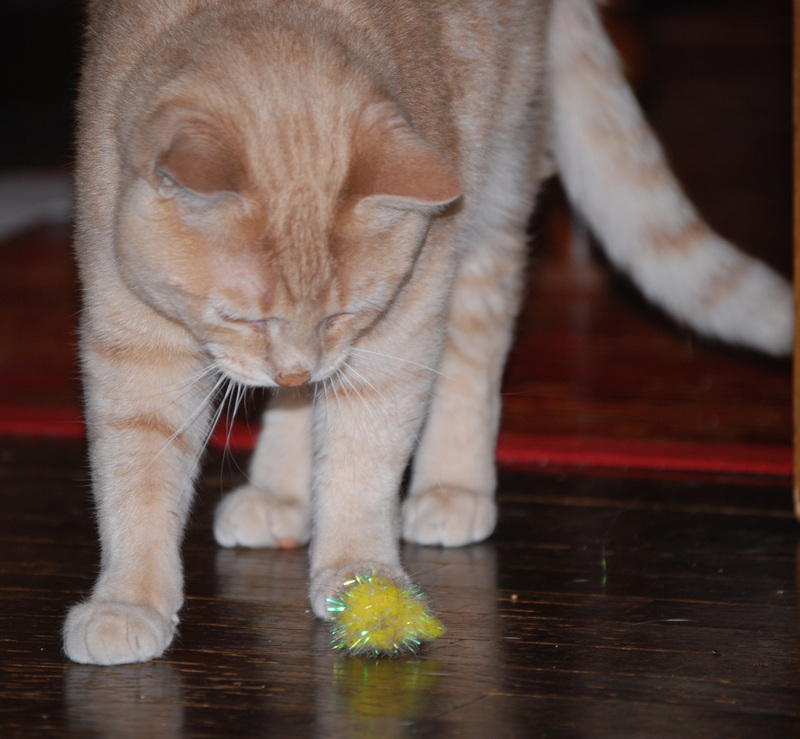 *Al is in enamored with this fuzzy, yellow tinsel ball, a gift from two bloggers: Terri, editor of the blog Curlz and Swirlz: Life with Cornish Rex cats, and a Sphynx named Disco NoFurNo and Carol Meir of Coffee, Cats and Yarn. He likes to play fetch with it. Al and Ringo are lovin' all the goodies in the wonderful and well-curated gift package that Terri and Carol put together and gave to us at Blogpaws. A big Thank You, Terri and Carol! Al and Ringo send purrs. Awwwww Al is super adorable!!! And ever so smart!! And he looks so cute together with his gorgeous brother Ringo! Mommy would like to know how Al snagged such a cushy day job. Al certainly has risen to executive level in his chosen profession! Me thinks that is a great job! How does one gts to be a professional tester? Now, that is a great job! And Al is Purrfect for it! wow and I thought I was the ONLY one who hadn't properly thanked Terri and Carol. Wait!!! now that YOU did I AM the only one!!! lol!! Well Terri won a prize on my blog, I have to think of something for Carol now! BTW I am crazy about Al!! 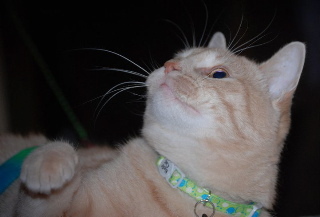 He is my kind of kitty! What a sweet kitty! Kinda looks like June Buggie.